which in hindsight sounds crazy. the two main reasons being: 1. the price [it didn't seem very backpacker friendly once you add up the train, entry fees, lodging, guide, etc.] 2. the "touristy" ness of it – i'd heard rumors that it was getting a little out of control. we quickly came to our senses though and realized this was likely a once and a life time experience that would be worth the splurge. later, my parents decided to join us – and it ended up being one of the most memorable and special experiences. part of me thought that it would be one of those places ruined by tourism, however that is completely not the case. this is a well oiled machine and if done right, you can experience this treasure in a really unique way. in my opinion, trekking to the sungate is 100% the way to go. this takes 1 day [with an overnight stay] and i honestly couldn't recommend it more. this approach gives you a really unique view of machu picchu, and also gives you that feeling of "WE MADE IT" – which likely wouldn't feel the same if you just took the bus in. we didn't actually go *in* to machu picchu until the following day, we only hiked to the outer perimeter – which is the perfect vantage point and is great for people who don't want to pay the fee to go inside. 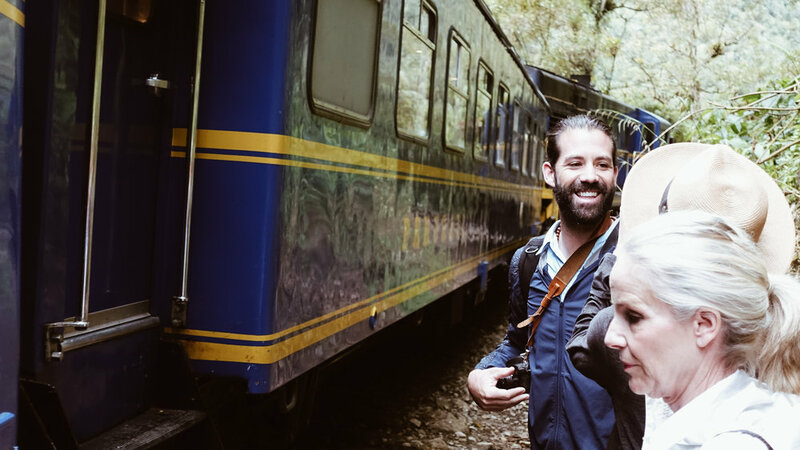 after soaking in the breathtaking views for a few hours, we boarded the bus and headed down to aguas calientes – a little town that was built for the tourism of MP. its cute enough for one night and we enjoyed our stay at the el mapi. we woke up and had breakfast at our hotel [included in the price] and boarded the bus to the gates of machu picchu around 8:30. some people wake up at 4 am to get to the top for sunrise, but honestly this seemed exhausting and not necessary. at 8am there was no line for the bus – so unless you're a huge sunrise person, don't listen to the people who tell you to go at 4am. the rest of the morning consisted of a full tour with our guide and exploring each little nook and cranny. after exploring we made our way back to town for lunch/drinks at our hotel before heading back to cusco on the train. there are many ways to make machu picchu happen but we were SO happy with this experience.